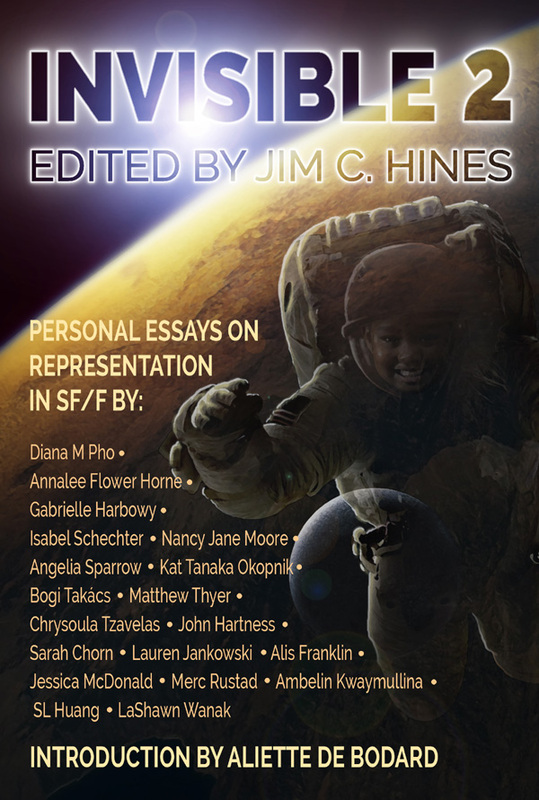 This post is part of a series of interviews and guest posts from contributors to Invisible 2, edited by Jim C. Hines. You can find our review here. In this post, Jessica MacDonald talks about how to write Native American characters without resorting to stereotypes. In April, news broke about a new Netflix-based movie by Adam Sandler where he and his producers showed extreme disrespect for indigenous people. It served as a reminder that in 2015, Natives are still fighting to be seen as part of the world, not as historically inaccurate stereotypes. Reading books, watching movies—it’s like playing Are You Kidding Me bingo. Magical Indian here, Noble Savage there, Red Devil over here. Tropes so ingrained that most viewers or readers don’t even realize how off base they really are. Which is why it’s refreshing to come across series that put in the legwork to not only craft multi-dimensional Native characters, but also ground their mythology in actual Native legends. Patricia Briggs’s Mercy Thompson series and Faith Hunter’s Jane Yellowrock series both nail it. Let’s start with Mercy Thompson. She’s a mixed-race protagonist, another rarity—Blackfeet and white. She’s a mechanic who owns her own garage in the Tri-Cities area of Washington state, and she’s also a skinwalker: she can change into a coyote. A distinction is drawn in the series between werewolves, who are beholden to the moon and must preserve mass (so a 200lb man becomes a 200lb wolf), but Mercy can shift at will, and becomes a true coyote, small size and all. More of her story and power is revealed through the series, tying her ability not to her status as an indigenous person, but more because of her specific backstory. This point matters: In many Magical Indian portrayals, no explanation is given for the character’s abilities other than her Native status. This form of positive stereotyping is othering; it confers that Natives are magical, connected to the earth, control the elements, whatever, simply by being Native. As if we are not human. But with Mercy’s story, there are specific reasons related to the Blackfeet legend of Napi that explain her powers. Hers is a hero’s story, where she is indeed special, but with reason and depth. 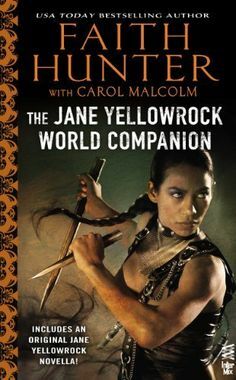 Jane Yellowrock is a Cherokee vampire hunter, and also a shapeshifter. Her mythology is a little different: the animal spirit, “Beast” as she calls it, is a consciousness living inside her. They share one body but are two entities. Where Briggs keeps the Blackfeet legends at the edges of her world, Hunter brings Cherokee myth front and center, both as an explanation for Jane’s powers and as part of her overall world-building. It’s a nice break from European-centric mythos, even as both authors do a great job of blending European monsters with Native myths. There’s a specific scene in the first Jane Yellowrock novel with a tribal elder that’s offering some information that Jane needs. This elder is not dressed in buckskins and a headdress; she is modern, speaks proper English (as opposed to Tonto-ese), and lays the foundation for revelations about Jane that come later in the story. This flushes out both Jane and the mythos; it’s not a hack job pulling a few Native legends in for flavor, but a well-developed, rich world that remains respectful of the Cherokee origins that inspired it. Briggs and Hunter do exactly what we’re asking for when we say we want representation. They give us dynamic, multi-dimensional indigenous characters that are not defined solely by their Native-ness. It can seem like a fine line to white authors—how do you bring in Native stories without stereotyping characters as Magical Indians, Indian Princesses, or Noble Savages? The answer is fairly simple: Create real human beings. Research the experience of indigenous people, maybe even meet with a tribal government and interview them. Ground characters’ powers in a rich backstory rather than in what amounts to “because Indian.” Be respectful of the mythologies. Your Native characters can be magical, badass, savage, noble, murderous, heroic, powerful, weak—but make them real, the way Briggs and Hunter have. Our race is part of who we are, but it is not all we are. Your characters should be the same. Jessica McDonald lives in Denver and is a writer, technophile, gamer, and all-round geek. She serves as the marketing director for RF Digital, where real life magic happens. She earned her Master’s degree from the University of Denver and holds undergraduate degrees from The Pennsylvania State University, and has worked for everything from political campaigns to game design companies. She has published original research on online user behavior, and writes about marketing, technology, women in STEM, and diversity in media. Her background in the technology and defense industries makes her an insightful critic of gender representation in fiction, film, video games, and comics. Growing up looking white but with Cherokee heritage, she also advocates for representation of people of color and mixed-race characters. Jessica has presented at SXSW Interactive, Shenzhen Maker Faire, American Public Health Association’s national conference, and Pikes Peak Writers Conference. She is the author of the urban fantasy novel BORN TO BE MAGIC and currently is writing a YA novel based on Navajo mythology. Find her on Twitter at @coloradojess or on her website at http://www.madewithwords.net. This entry was posted in Interviews and Special Guests and tagged diverse representation, Faith Hunter, Jessica MAcDonald, Mercy Thompson, Native Americans in fantasy, paranormal, Patricia Briggs, writing the other, Yellow Rock. Have you read Eileen Wilks’s Lupi books? The main characters of the book are not Native, but a couple of other important characters are and the latest book was told from the pov of a character who is Diné. Wonderful essay!! I’m also a white looking woman with Cherokee background. My family want raised without any information on our background and we weren’t part of “the tribe”, do I’ve worked hard to learn belief systems, etc.on my own. I’ve LOVED both these series, but Jane Yellowrock has my heart! Thanks for getting the word out!! I don’t have a problem with the term Indian, I do have a problem with being portrayed as an idiot!! Shouldn’t it be “… a tribal elder who’s offering…”, not “…a tribal elder that’s offering…”? Tribal elders are people, not things.